The R-78Bxx-1.0 Series high efficiency switching regulators are ideally suited to replace 78xx linear regulators and are pin compatible. The efficiency of up to 97% means that very little energy is wasted as heat so there is no need for any heat sinks with their additional space and mounting costs. The L-Version with 90° pins allows direct replacement for laid-flat regulators where component height is at a premium. 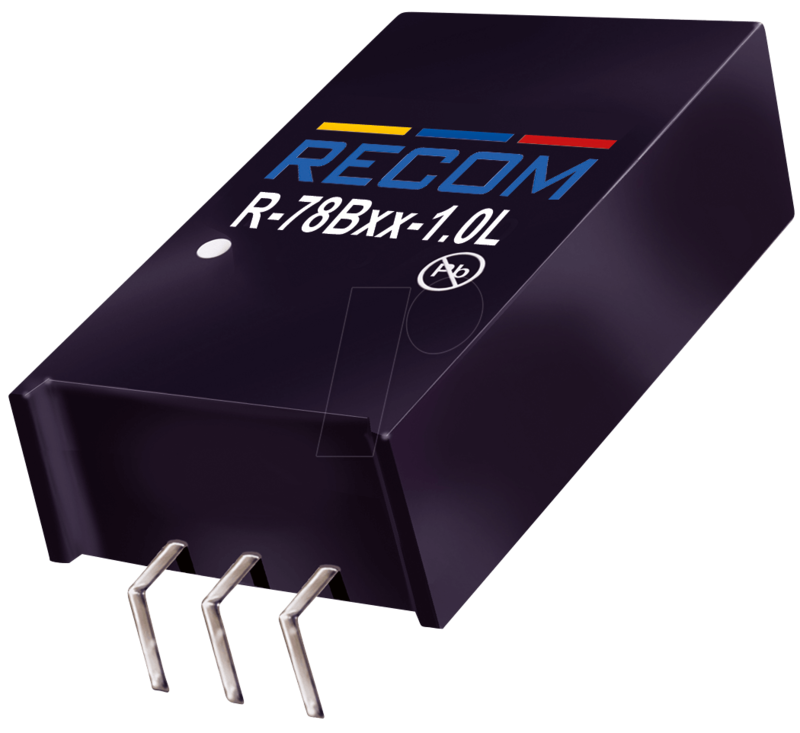 Low ripple and noise figures and a short circuit input current of typically only 10mA round off the specifications of this versatile converter series.